Bex and Nick invited me for dinner tonight, and I brought around a golf game toy for Leo, which I had scored at Saturday’s clothes swap. He loved it so much he wouldn’t let go of the flag that came with it. 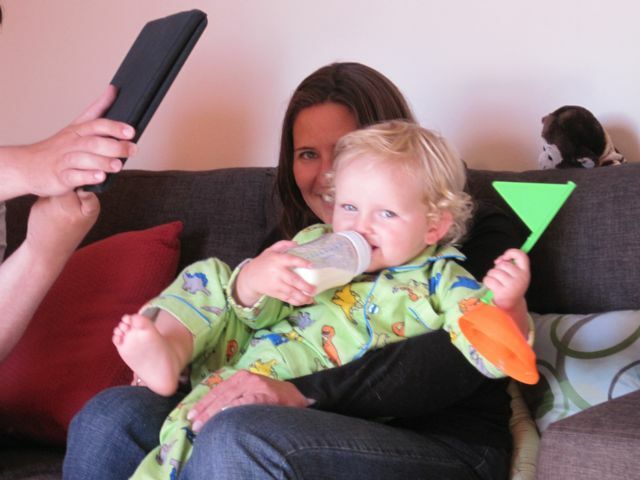 He also loves some iPad play time, but it’s really hard to use the touch screen while holding a plastic flag in one hand and a bottle in the other. So big YAY for daddy, who held up the iPad so Leo could use his little feet to trigger fun animal sounds!